Hello Games has produced a visually mesmerising and beautiful universe but sadly the moment by moment gameplay is lacking these exact same elements. Immediately when jumping into No Man’s Sky you’re greeted with a universe which has a very distinct visual style which will compel players to explore, simply to behold more of the beauty. With each and every world being procedurally generated No Man’s Sky is both a visual marvel but also a technical marvel. Unfortunately though during the production process it appears that Hello Games forget one vital factor, gameplay. 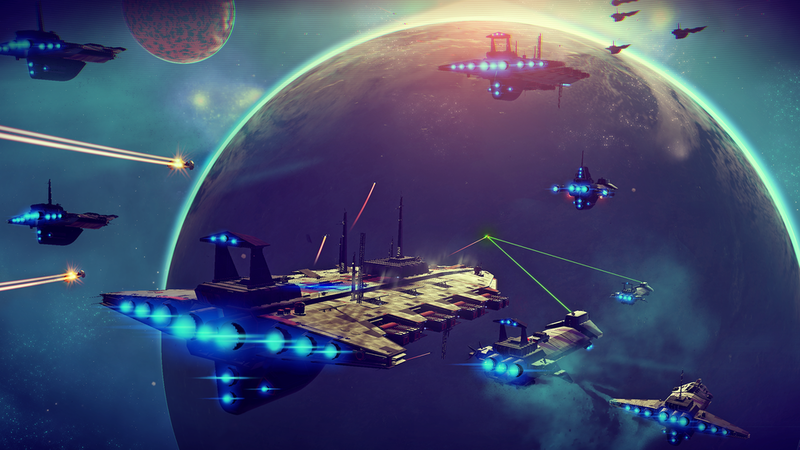 No Man’s Sky may have taken influence from Minecraft in that much of what the player is tasked with achieving is hidden and thus imbues a sense of personal discover. The major downfall with taking this approach though is that the game can feel empty, lonely and directionless without a goal to push forward towards. There is an incredibly strong foundation here, which Hello Games could certainly build upon with a follow up game, but following the negative press the game received shortly after release I cannot envision a future where Sony/Playstation funds such a project.